This crop of Harrar has the distinctive blueberry notes along with apricot and spice notes. 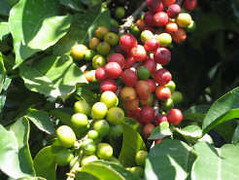 This coffee was roasted on the 30th of June and will be ready to use in 24 to 36 hours. We recommend using it for about 10 days or so for best flavor and aroma. And remember to check out our current available fresh Roast-to-Order beans here on our site.